The Fourth of July is once again upon us and yet another summer is ticking away. Independence day is a sacred holiday in this country and at Pixus we value the opportunity to serve the digital printing, signage, and POP marketing of our neighbors. We have had the opportunity to produce some incredible work over the last 25 years and have seamlessly kept up with contemporary printing technology. This type of agility has given us the advantage of a loyal customer base that drives us to produce the best possible product every time. In the spirit of Independence Day, we thought that we would discuss ways that Pixus can help your business, event, or charity be as successful as possible. When the colonists decided that they had had enough of unfair taxation and other issues by the British monarch, King George, the only alternative was to go into battle. Contrary to popular belief the war was not overwhelmingly supported, and it took some convincing to get all of the colonies on board. Generally, most citizens thought that life was pretty good, so why change anything? This is the attitude that many small businesses have when it comes to making big changes, they want to stick with what has been working and end up staying stagnant. Think of the ramifications of our lives if the colonists had decided to simply stick with what works. The same is true for your small business marketing. The best way to get the results you want is to try new things. At Pixus, we can help you plan your attack and increase the visibility of your business. Much like the minutemen of the revolution, a solid POP print advertising campaign can turn the tide and increase business. 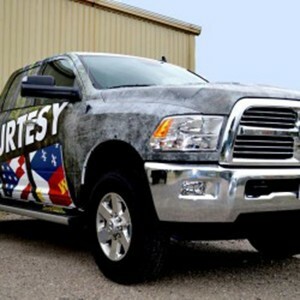 Vehicle wraps are an excellent way to advertise and may reach potential customers that ordinarily would not see your marketing. Banners are always a good choice, much better than the crazy, dancing, blow-up, straw guy. Banners are ideal for making your business seem like a special event and Pixus is your local banner experts. Powerful signage is the key to increasing your brand visibility as is a strong logo, contact us for more information about logo design and the power of branding. Independence Day is the ideal time to advertise your business and reach the maximum amount of potential clients. This weekend is also a good time to reflect on how our amazing country came to be, through sacrifice and diligence. Many generations of soldiers have fought to keep this country free and the Fourth of July is one of the days to remember their sacrifice. So fire up the grill and grab a cold, frosty beverage, spend quality time with friends and family, but most of all, know that your Pixus printed products are still out there working for your business. Our products don’t take a day off and they can be the best salesman out there.